Grab a hot cup of coffee and let's chat FSA assessments! 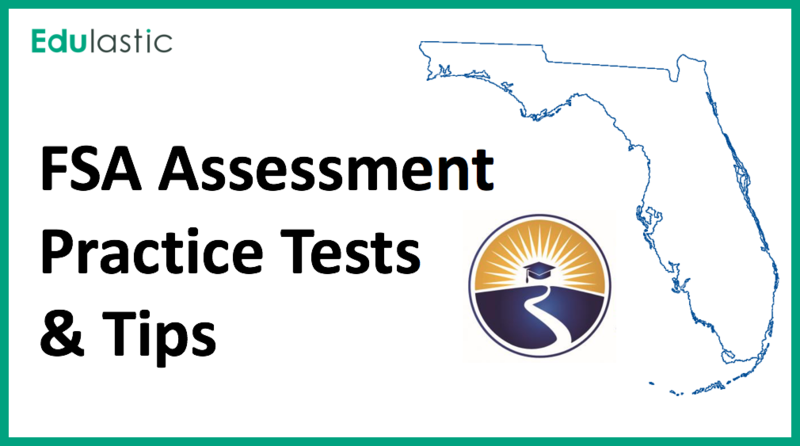 The FSA assessment is a state-wide exam that all Florida teachers have on their radar. The assessment helps the state get a glimpse of how students are doing and allows the Florida Department of Education to make sure teachers and schools have the resources they need to adequately support their youth. If you are a teacher in Florida and are trying to figure out the best ways to prepare your students, you're in luck because there are online resources that will help you be the best guide possible for your students. To start, the FSA Portal contains general information about the assessment which includes timing, content, and proctoring information. 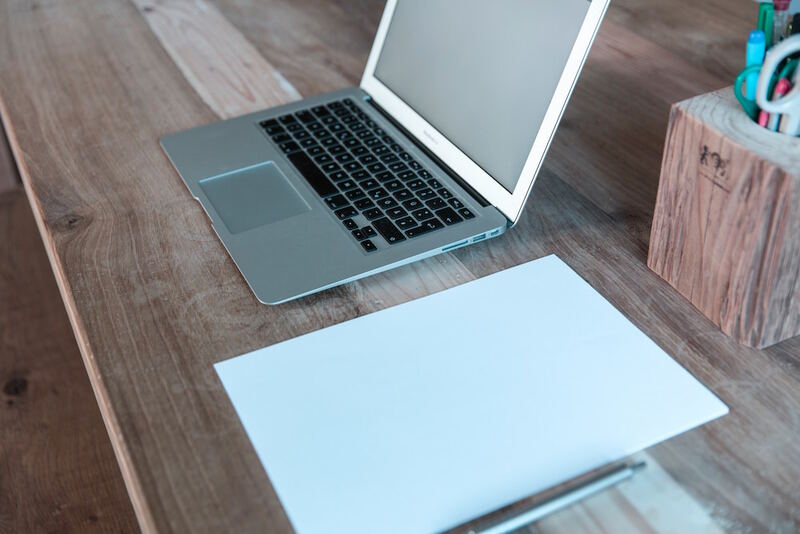 Once you have an idea of the test design and structure, you can turn to the Edulastic Assessment Library to access FSA released items and an online environment that mimics the state test's look and feel. You can also find a plethora of question items and assessment content, or make your own questions to pretest your students and check to see if they are on track. To help you get started, we've done a little research about FSA assessments and the skills your students will need to experience success on the test. Good luck to you and your students! With the right tools in hand and a drive to succeed, you'll prevail with flying colors. Whether it's through Macbooks, PCs, or Chromebooks, it's important that you get students comfortable with the technology they will be using to complete the FSA Assessments. Sure, the current generation of youth are likely to be more tech savvy than any of us who didn’t grow up with personal smart computers in our pockets but that doesn’t mean they are prepared for a high-stakes state test environment. Maybe it’s a surprise, maybe not, but many students might be mostly accustom to touch screens. When you put a computer mouse in the hands of a student, they might not know what to do with it! Get them comfortable with the movements and actions required to navigate through the state test with the technology and movements they will need to apply when they get to the FSA Assessment. The closer you can mimic the test- the better! Even re-arranging the classroom to match FSA Assessment day and having students clear their desk and will help get students comfortable with the setting they will experience come spring. The Florida Department of Education lays out examples of the Technology Enhanced Items that students might encounter on a given exam. Use this information to create assessments that mimic the test. Edulastic can help with this and the service is free! With Edulastic you can give students plenty of practice with online testing that looks like the state test. 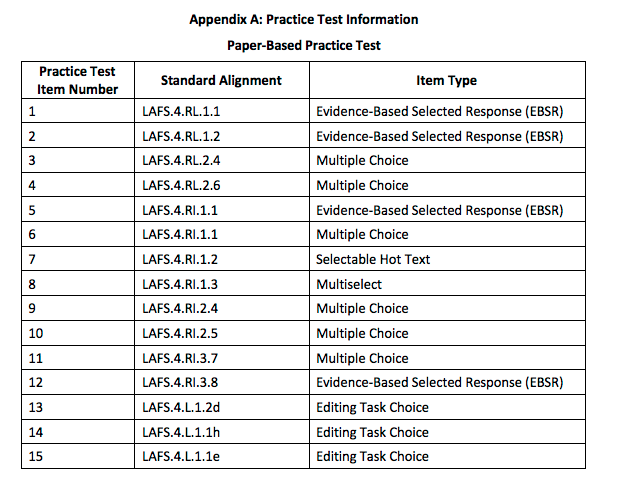 One option is to assign assessments from released FSA assessment items as a Pretest. Some teachers choose to give students daily content checks, worksheets, exit slips, or weekly quizzes to get students comfortable with using digital assessment on a regular basis. However you choose to do it, keep in mind the goal: you’ll want students to be comfortable with the technology so that when testing time comes around, they only need to worry about demonstrating their mastery of the content! The FDOE provides a bunch of resources that specify what will be on a given FSA Assessment. As an instructor, you have the ability to familiarize yourself with the content and structure of the FSA assessment so you can help your students accordingly. 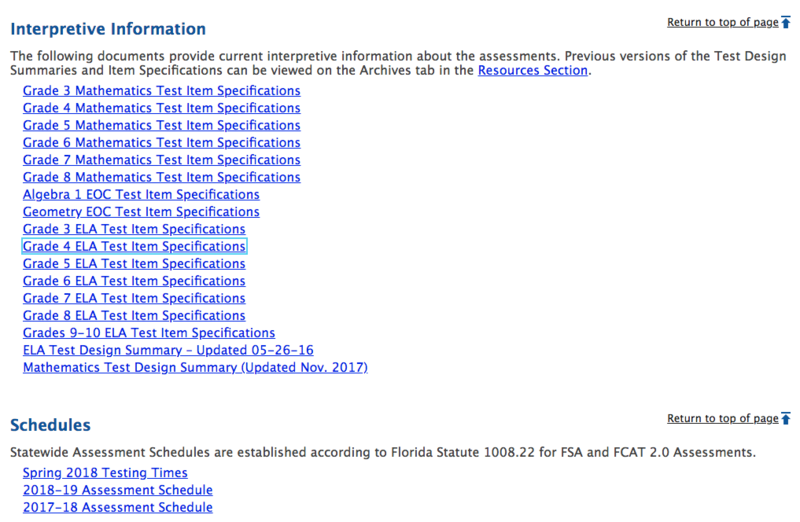 The FSA Assessment portal contains documents with descriptions of the structure of the test and the content covered in the test. Start by making sure you know what content you’ll have to cover in order to prepare your students for the test. Arrange your instructional units to cover each of the topics. Prepare formative assessments or "check points" to see how students are doing and if they are picking up the content they need to know. FSA Assessment timing may or may not vary based off of the subject and grade level. You can also look this up on the FSA portal. From there give your students a few assessments that mimic the test's content and structure. This includes tests that are equal in length to what students will see on the FSA Assessments. Students must not only be prepared with the content, but they must also have the stamina to endure a lengthy online high-stakes assessment. By giving them that practice, they will be more confident when testing day rolls around. If you really want to be transparent, consider sharing all this information with your students. It could help build trust and would empower them to know what they are working towards and what you are aiming to accomplish together. Put in the time and give students the time to practice. With adequate time to work through practice problems and online tests that mimic the FSA Assessment, students can understand what they need to work on and then can practice the content or question types they need work on. Set up a schedule or pre-schedule Edulastic assessments that will allow your students to practice completing FSA-like questions. Get together with your support network to work out your plan and to share ideas and tools for FSA Assessment prep. This could be a group of teachers within your grade, school, or who you've connected with over an online platform like Twitter. Within your PLN, you can share moral support and resources. Someone might mention an idea, skill, or tool you may not have heard of before! Likewise, you can also contribute ideas and tools that the group can dissect and put into practice together. Through your PLN, you could also create additional practice questions or assessments on Edulastic or bounce off best practices for preparing students. Whether you hit your highs or lows, your support group can help you persist onwards and upwards! Remind your students that they have the ability to impact how they do on the state assessment. All they have to do is focus, practice, and put in the time and effort to learn what they need to know. For some students this process may be easier than others, however everyone has the ability to learn and grow and if you don't believe it, you're not going anywhere. An important way to empower students is by encouraging growth mindset. You have the power to help students build their confidence so that they will enter testing day with a positive attitude. Helping students develop high self-efficacy can boost their academic performance. Self-efficacy helps increase perseverance, self agency, motivation, and the courage to overcome obstacles. As an educator, you have the ability to mentor students and help them believe in themselves. By providing students with the technology, practice, and empowering them, you can help them go the distance and complete the FSA Assessments with flying colors.